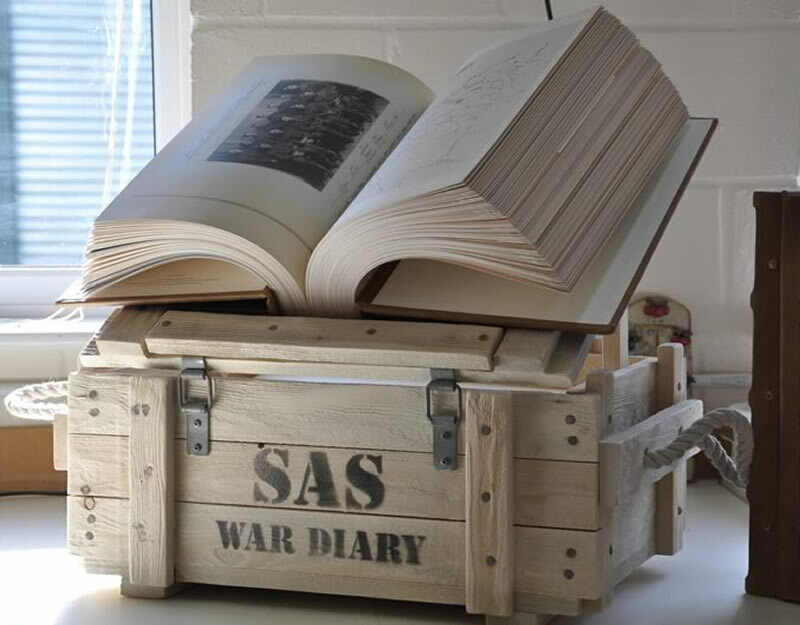 This extraordinary project was bound between 2011 and 2012, to celebrate the 70th Anniversary of the SAS. Weighing 13KG they are substantial tomes! The text was cut, collated and drilled. The cases were made from MDF and cowhide and blind embossed. We reinforced the case, drilled it and then added it to the text using brass posts. The replica 'Ammo Box' was conceived over a bottle of wine, by the chaps involved, then Maureen suggested that if it could be made into a lectern as well, it would be perfect for displaying the book - we duly obliged!